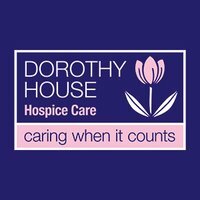 Dorothy House Hospice Care is a leading, independent charity and in 2017 was awarded an ‘Outstanding’ rating by the Care Quality Commission (CQC), placing it in the top 6% of adult social care providers nationally. DHHC provides free, palliative and end of life care from early diagnosis and operates across 700 square miles, serving a population of 550,000 people. We are a key provider of services for Bath and North-East Somerset (BaNES), Wiltshire, and Somerset Clinical Commissioning Groups. Specialists in complex palliative and end of life care, DHHC aims to pioneer its delivery of best practice care and support, tailored to the needs of patients with life-limiting illness, their families and carers. The majority of our care is delivered in the home and the community including our Nurse Specialist teams working in partnership with GPs, a growing Hospice at Home Service and support through our Outreach Centres and 1,300-strong volunteer network. DHHC also provides inpatient care, pre-and post-bereavement support, rehabilitation programmes, complementary, creative therapies and more. Our aim is to equip individuals and communities with the knowledge and skills to respond to life-limiting illnesses with dignity, compassion and - above all - humanity. Education and training are at the forefront of this work: We run programmes and events for health and social care professionals, and increasingly, the wider community around death and dying. The Dusk Memory Walk, at Dorothy House Hospice in Winsley, is a 5km sponsored walk for all the family that starts at 7pm and ends at the Hospice as daylight begins to fade. At the end of the walk, there is the opportunity to put your own message on a candle bag, which will shine in the grounds of the Hospice. The circular walk is open to all, including children and even the dog! Part of the walk will be through fields and could be muddy so sensible footwear should be worn. There are also hilly sections. We regret that due to the terrain the route is NOT suitable for wheelchairs or pushchairs. You can view the route map on the website. Parking is available. Entry for the Dusk Memory Walk is £12 for adults and £5 for children (aged 16 and under). 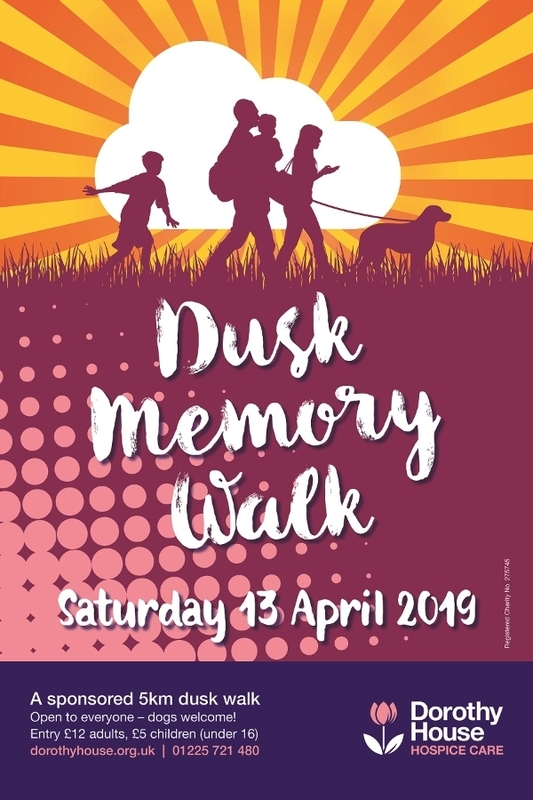 For full information and to enter please go to our website at https://www.dorothyhouse.org.uk/events/dusk-memory-walk/. Run forDorothy House in the Bath Half Marathon! 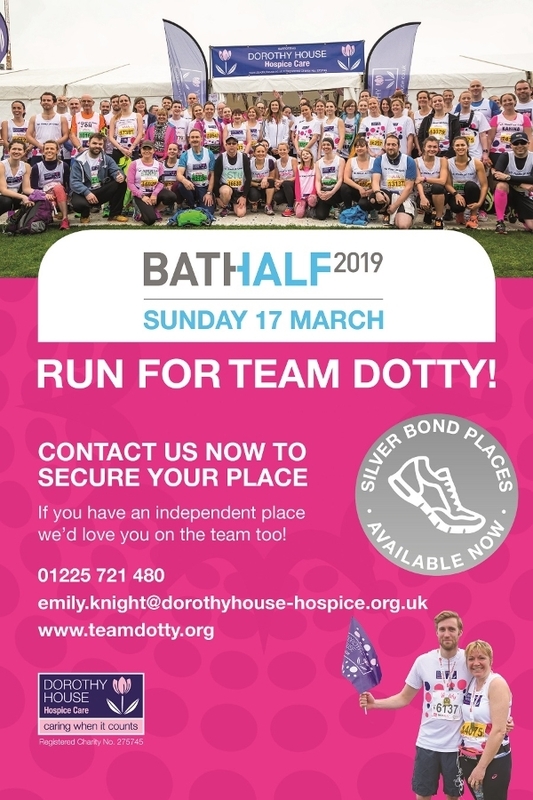 The Bath Half Marathon2019 takes place on Sunday 17 March and we’d love you to join Team Dotty. Dorothy Househas 100 Silver Bond places in the Bath Half Marathon and we still have someleft! These are available on a first come, first served basis so weadvise signing up asap. See the website for full details www.dorothyhouse.org.uk/events/bhm19/. If you havealready bought your own independent place through Running High we’d love to haveyou on the team! Please visit www.dorothyhouse.org.uk/events/bhm19/to register your participation so we can fully support you. Once you’vejoined Team Dotty we’ll send you a fabulous dotty running vest or T-shirt,sponsor forms and Running Handbook full of info and tips to maximise yourfundraising and enjoyment of the day. Dorothy Housewill have a marquee in the runner’s village to welcome Team Dotty runners beforeand after the race. 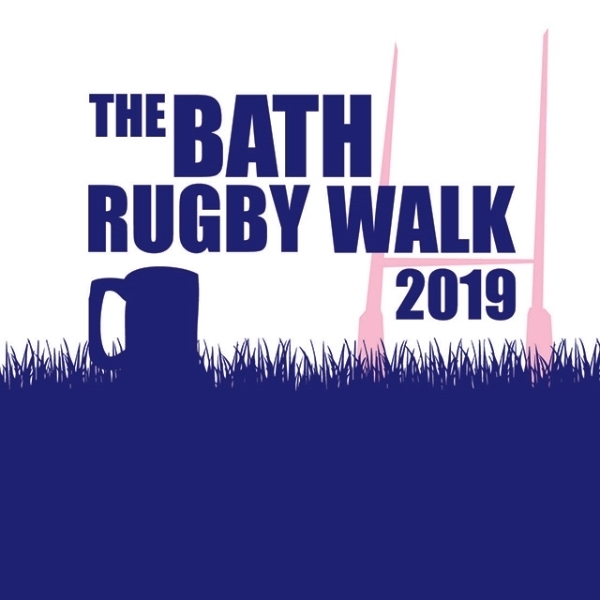 Join the Bath RugbyWalk (formerly the Bath Men’s Walk)on Saturday 23 February for a pie, a pint and top Six Nations action at theBath Recreation Ground, the home of Bath Rugby. Thisyear the Bath Rugby Walk is open to everyone for the first time so men,women, husbands, wives, daughters, sons, friends, loved ones and rugby teamsare all welcome! Menand women aged 12 years and over are invited to take part and help raise vital funds for the Bath RugbyFoundation and Dorothy House Hospice Care. Entry forthe eight mile walk is £29.95 for walkers (aged 12+). The walk starts at Dorothy House in Winsleyat 11am and takes a scenic route along the Kennett and Avon Canal, finishing atThe Rec in Bath. All walkers then get towatch two fantastic Six Nations matches on the big screens in the Clubhouse - France vs Scotland at 2.15pm and Wales vs England at 4.45pm. Teams of walkers (between12-20 people) are invited to reserve a box at Bath Recreation Ground to enjoythe Six Nations matches and make it a really special occasion. Lastyear, thanks to the efforts of all who took part, the Bath Rugby Foundation andDorothy House Hospice Care raised over £56,000between them to help their work in the localcommunity. This year they want to raise even more!